On Friday January 9, 2015 the Phoenix Police Explorers celebrated their 15th annual end of year awards Banquet held at the Beatitudes church campus located at 1600 W. Glendale Avenue. Numerous members of Phoenix Police Explorer Post 2906 were recognized in a variety of categories to include leadership, community service and top overall explorer of the year. 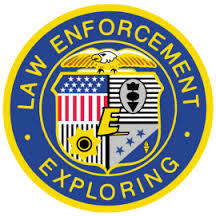 PLEA would like to congratulate all of the Explorers in attendance for another successful year of hard work and achievement. Special thanks to lead advisor Detective Doug Burrow who has worked diligently year after year to make the program one of the shining jewels in the crown of the department.